Are You a Puny Dreamer? The world was my oyster and I believed I could do anything. My parents always told me that I could be whatever I wanted if I put my mind to it. What were your dreams made of? What are your dreams made of now? I’ve come to notice that the older we become, our idealism disappears. Our dreams change. As life happens, we allow reality to squelch our creative imagination. 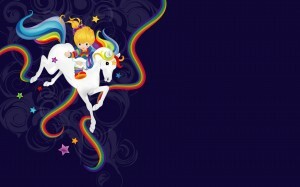 Living in, what is in reality, a wealthy community, I am under the impression I need to dream a certain kind of dream. I sometimes feel pressure to dream a particular way. Three years ago, Jeff and I bought our first home while I was pregnant with Caleb. It was my dream house and I could not wait to have a place to call my own. I’ll never forget what our realtor said to Jeff and I when she handed us the keys to our brand new house, “I’ll see you again in about 5 years when you buy your next house!” Next house? Was our beautiful, 1800 square foot, 3 bedroom house not enough? Would we someday be bored with our home and long for bigger and better? And I did long for bigger and better. A lot. Because of two rambunctious boys, toy cars and trucks have taken over our home. Legos and superheros are replacing my once beloved candles and decorations. I have spent way too much time on Realtor.com lusting over beautiful, bigger homes. I have spent way too much time imagining Jeff or I driving around nicer cars, wearing better clothes, and going on big beautiful vacations. Are our dreams made up of the desire for bigger and better? More stuff? Bigger diamonds, boats, SUV’s, toys, and granite counter tops? What if this isn’t the dreams God has for his people? What if he has something bigger and better, but not in the way we imagine? What if we had a God sized dream instead of the typical American dream? What if we desire the life God has for us instead of seeking for the things that collect dust? What if we refuse to live the status quo just because it’s what the Jones’ are doing? A God –sized dream is letting God do the dreaming for us and recklessly abandoning our own. It’s when we stop making all of our dreams about me, myself, and I. It’s about loving God with everything and loving our neighbors. Living the God sized dream is life with passion and purpose for God. We stop settling for a life according to the wealthy suburban standard, and live life according to God’s standards, which could mean life with less instead of more. 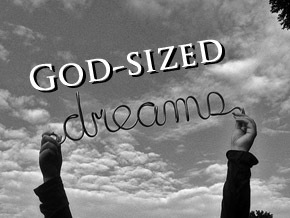 A God sized dream is God’s idea, it’s tapping into the wild, untamed imagination of our King. A God Sized Dream looks different for everyone. It doesn’t mean we are all preachers, pastors, or missionaries. Living a God sized dream doesn’t mean we all have to sell everything and move to Africa, although it could. My point is this, are you willing to trust God’s creativity for your life? Are you willing to lean in, listen, and obey? Are you willing to trust that God’s dream for your life isn’t about you, rather it’s about God’s people and God’s world? Are you willing to join something bigger than you? This could mean stepping into the unknown, the new, and the wild. But, have no fear. It’s not life in our own power, rather, its life in God’s power. It would be impossible to do without Him. Yay – so excited about you blogging! I’m subscribing to it. “Are you willing to trust God’s creativity for your life?” I love that question! Creativity is a core value of mine, but how often I fail to recognize or trust the Creator’s creativity! Keep on writing, I’m excited to see where it takes you. Thank you so much, Jaclyn! That means the world! This is a highly intimidating endeavor for me, so your encouragement means the world to me!!!! And you thought you couldn’t write! I really enjoyed this one today. You should keep writing these. 1) Listen to God’s plan. Its better than your could ever be. 2) Ignore those around you who don’t see God’s plan working for you. 3) Be patient. And trust God. Even when you think you are living God’s plan, things still don’t go the way you think you should. Most likely because we can’t see the big picture…and our point of view is just that…a point in the big scheme of things. Love this. Great words of wisdom, Michael. Being patient is hard, so is ignoring others. Thank you for sharing!